If you have delinquent tax returns, the IRS will catch up to you soon. Wait, there is hope! There are tax debt resolution options that can help you lift the bulls-eye target that has been placed on your back. At Tax Defense Partners, we specialize in an array of tax debt relief solutions that can resolve the delinquent taxes of our customers. The IRS requires taxpayers to comply with their tax return filings before considering and accepting a tax debt resolution of their liability. If a taxpayer fails to file a return, the IRS may prepare a substitute return for that person. If this happens, they will not entertain any deductions or dependents. A taxpayer may face imprisonment if he or she fails to file a required tax return. Speak to a tax expert about Delinquent Taxes. Contact us now! Ensure personal contact information is up-to-date: If the IRS finds out that they sent tax information to the wrong address, you may accrue penalties and interest. Keep your own records: Keep track of everything you have filed and sent via email. This way, you have proof that a certain document was sent on a certain date. Open your mails: If the IRS sends a document to you, chances are it is highly important. The mails may contain information pertaining to filing procedures, due dates, and more. 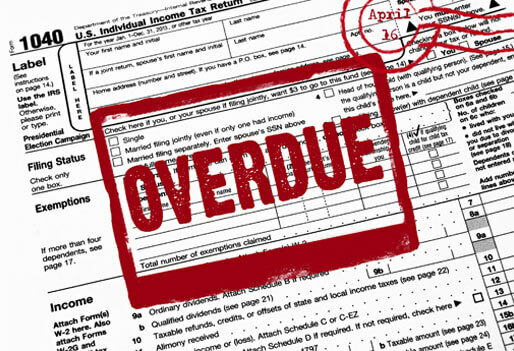 If you have not filed before, it is wise to consult a tax debt resolution specialist. They can help you file properly and ensure you have been accurately taxed by the government. This significantly lowers your risk for delinquency. We can also help you determine how much you could owe to the IRS to prepare. At Tax Defense Partners, we offer a wide range of tax debt relief solutions. Two popular options include Offer in Compromise and Installment Agreements. OIC is a type of payment plan that pays off an entire lump sum that matches or is less than the amount owed. However, you must meet a specific set of criteria to be eligible. An installment agreement allows a taxpayer to pay down his or her tax debt via a monthly payment plan. Depending on the amount of back taxes you owe to the IRS, you may request for a three- to six-year payment plan. No matter which option you choose, it is still recommended that you try to pay off as much debt as you can before moving forward with one. Why Should You Work with Tax Defense Partners for Delinquent Taxes? At Tax Defense Partners, our tax attorneys are well-versed in tax changes, tax code, and tax law. We can prepare your returns with the highest level of efficiency and accuracy. When you work with us, you never have to negotiate with the IRS directly. We act as a shield between the IRS and you. Our team works tirelessly to achieve the best possible settlement for your unique case. You can rest assured that we are always on your side. Stop delinquent taxes from making your financial situation go from bad to worse. Contact Tax Defense Partners today for prompt legal and tax assistance.